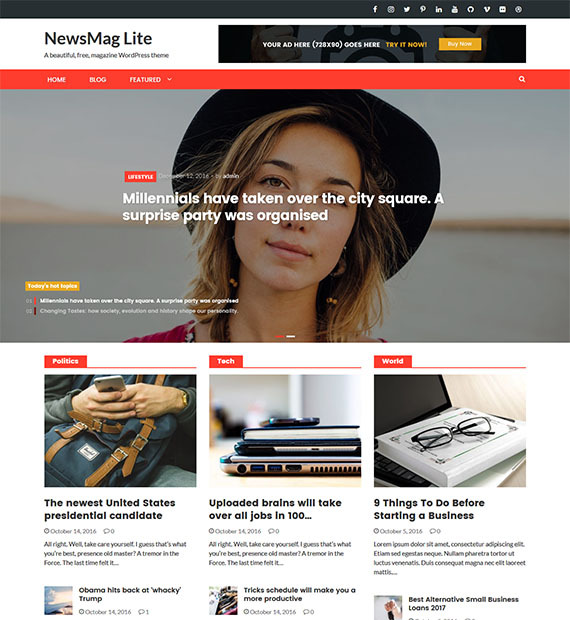 NewsMag is a beautifully designed magazine and news WordPress free theme. With the clean and professional look, the theme is SEO friendly which makes it ideal for blogging. You even have the access to four different layout designs that come premade so that you can switch to anyone, anytime. Responsive and retina ready, your blog and website will look awesome no matter what device your user is on. Even the customizing settings are easy to access adding to the awesome features!